David Lee Hill was born on 13 July 1915 in Kwangju, Korea, the son of Presbyterian missionaries, who moved to Texas when he was 6 years old. After finishing Austin College in 1938, “Tex” completed naval flight school and served in a torpedo squadron (VT-3) on USS Saratoga and in a dive-bomber squadron (VB-41) on USS Ranger. He was recruited in 1941 to serve in the Claire Chennault’s American Volunteer Group (AVG). 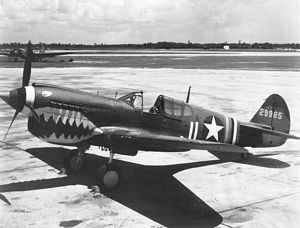 He reported in July and served as flight leader and then squadron leader of the 2nd Squadron, flying the Curtiss P-40 Warhawk. In his service with the Flying Tigers, he was credited with destroying 10.25 Japanese planes, one of the top aces of that famous unit. His first victories came on January 3, 1942, when he downed two Ki-27 Nates over the Japanese airfield at Tak, Thailand. He claimed two more on the 23rd, and "made ace" on the 24th, when he shot down a bomber and a fighter over Rangoon. In March, he succeeded Jack Newkirk as Squadron Leader of the Second Squadron. On May 7th, 1942, the Japanese Army began building a pontoon bridge across the Salween River, which would allow them to move troops and supplies into China. 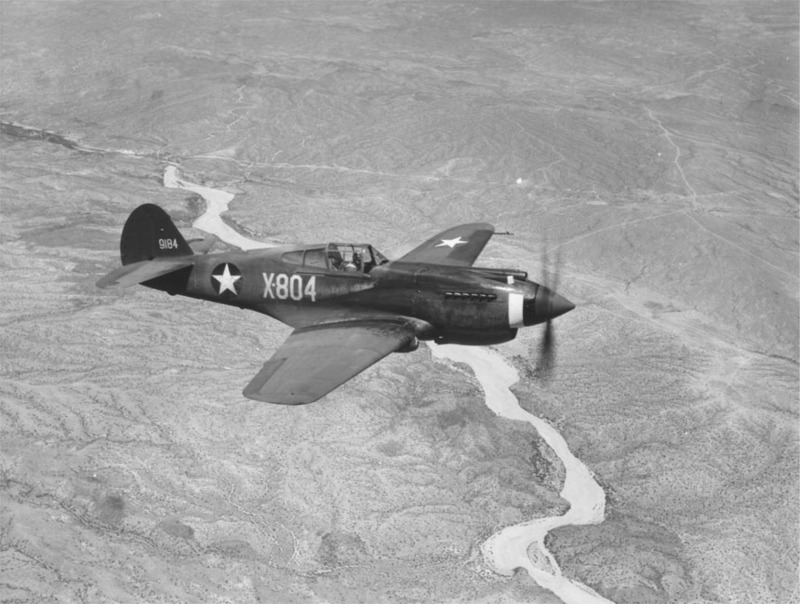 To stem this tide, 2nd Squadron Leader David Lee "Tex" Hill led a flight of four new P-40Es, bombing and strafing into the mile deep gorge. During the next four days, the AVG pilots flew continuous missions into the gorge, effectively neutralizing the Japanese forces. From that day on, the Japanese never advanced farther than the west bank of the Salween. Claire Chennault would later write of these critical missions, "The American Volunteer Group had staved off China's collapse on the Salween." After the deactivation of the Flying Tigers in July 1942, Hill was one of only five Flying Tigers to join its USAAF successor, the 23rd Fighter Group. He was promoted to major in the U.S. Army Air Corps, and activated the 75th Fighter Squadron and later to command the 23rd Fighter Group. Before returning to the United States in late 1944, "Tex" Hill and his P-51 Mustang scratched another six Japanese aircraft. It is believed that he was the first to down a Zero with a P-51. Altogether, Hill destroyed 18.25 enemy aircraft. On Thanksgiving Day 1943, he led a force of 12 B-25s, 10 P-38s, and 8 new P-51 Mustangs from Saichwan, China, on the first strike against Formosa. The Japanese had 100 bombers and 100 fighters located at Shimchiku Airfield, and the bombers were landing as "Tex" Hill’s force arrived. The enemy managed to get seven fighters airborne, but they were promptly shot down. Forty-two Japanese airplanes were destroyed and 12 more were probably destroyed in the attack. The American force returned home with no casualties. 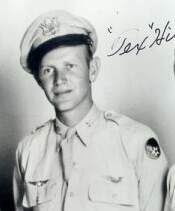 In July 1946, "Tex" Hill resigned his commission and left active duty. Shortly thereafter, he joined the Air National Guard and became the youngest brigadier general in the history of that service. He retired from the military in 1968. He passed away on Oct. 11, 2007 . Colonel Hill's honors include: Nationalist Chinese Order of the Cloud Banner, Chinese Victory Medal, British Distinguished Flying Cross, U.S. Distinguished Flying Cross, 2 Air Medals, Silver Star, and Legion of Merit.